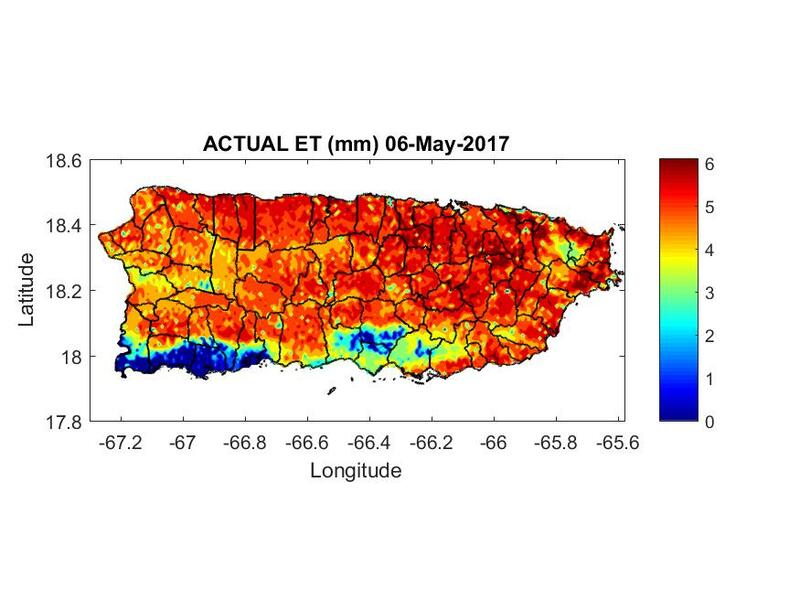 Actual or “real” evapotranspiration is defined as the evapotranspiration from a crop or vegetation under natural soil moisture conditions. 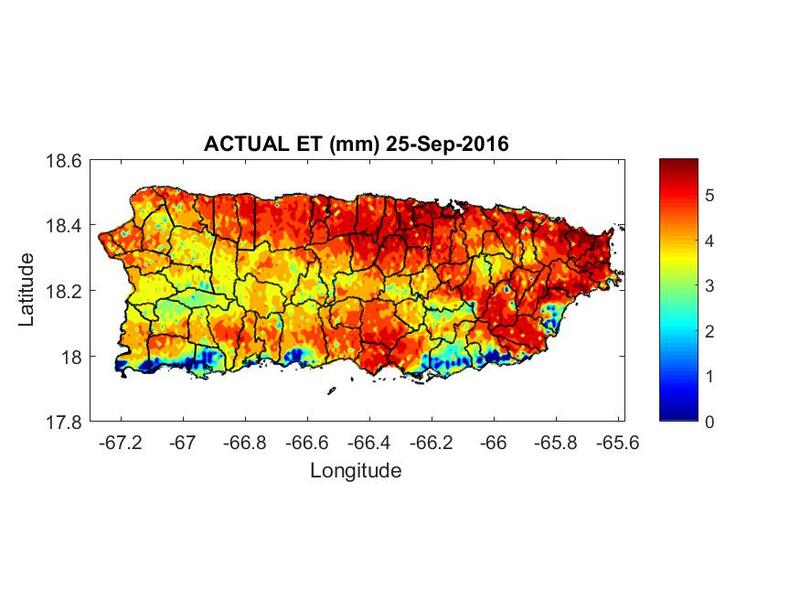 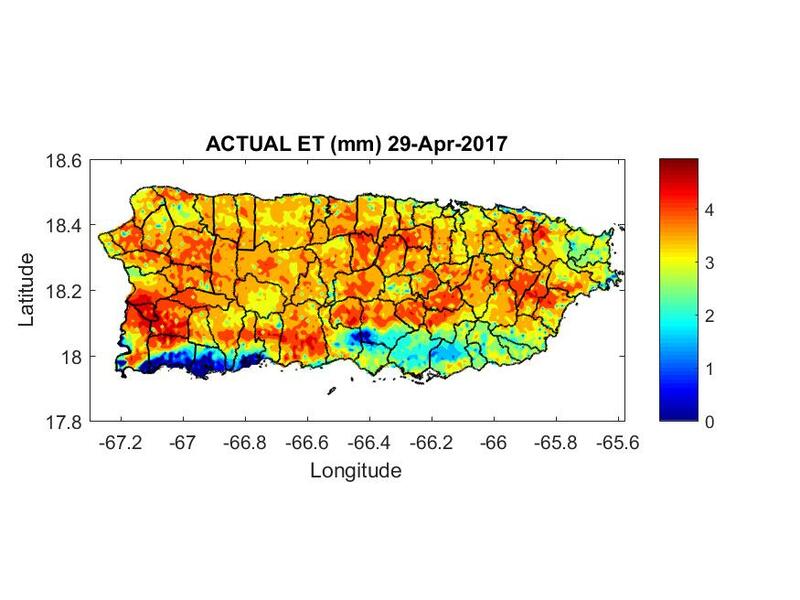 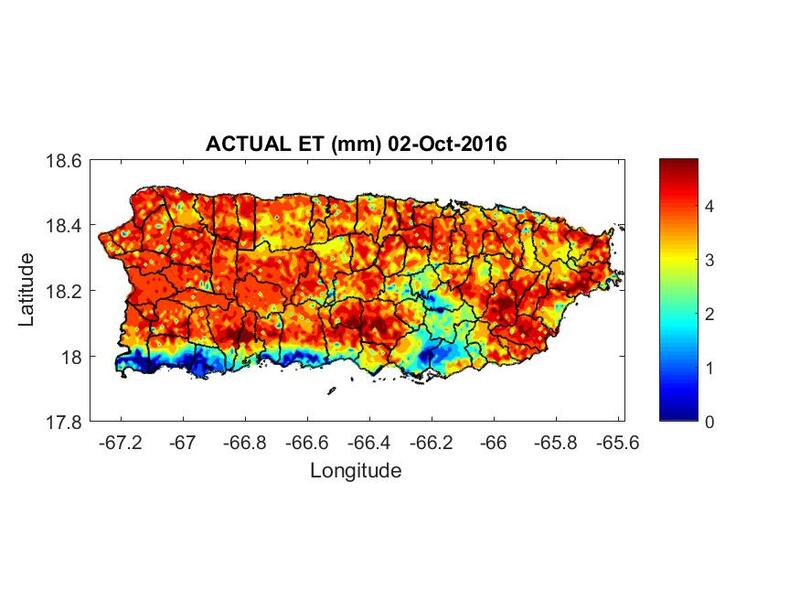 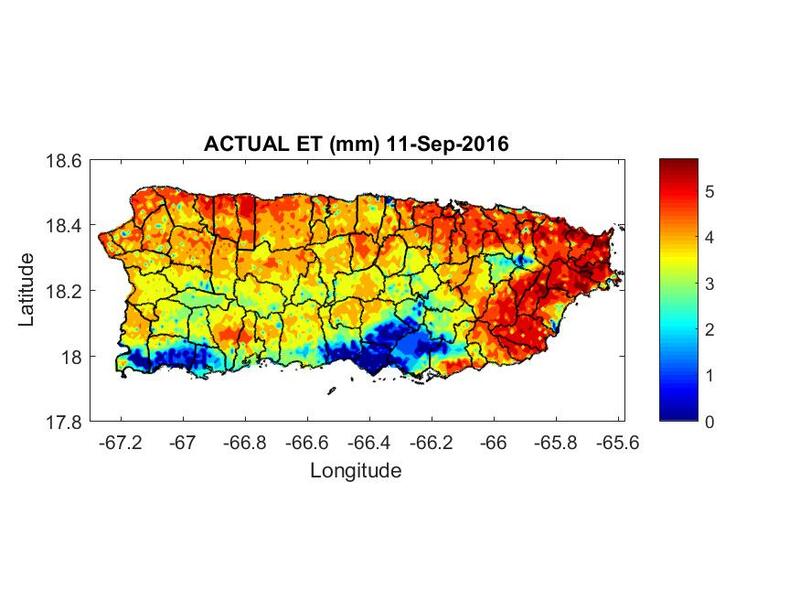 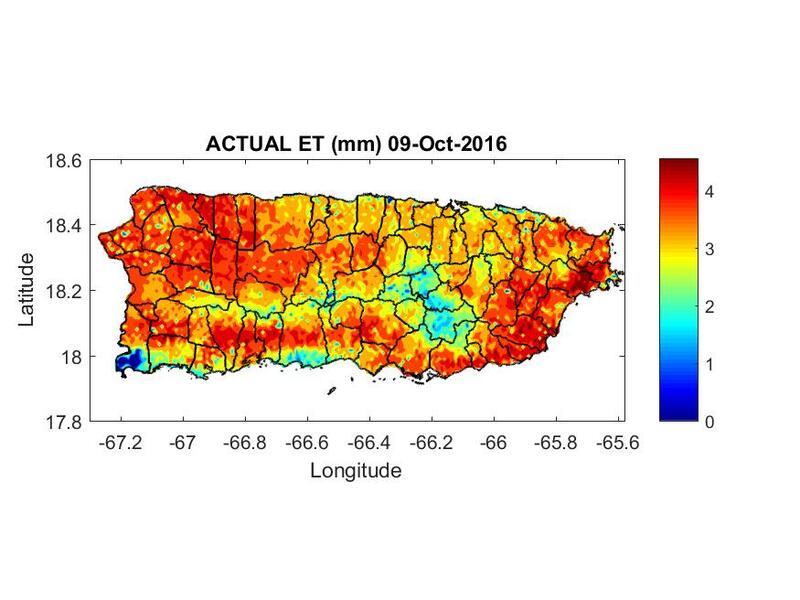 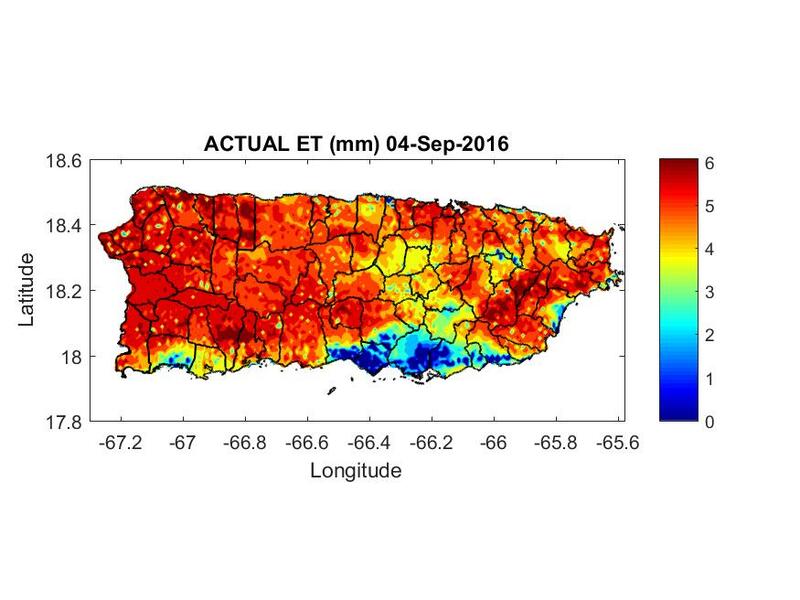 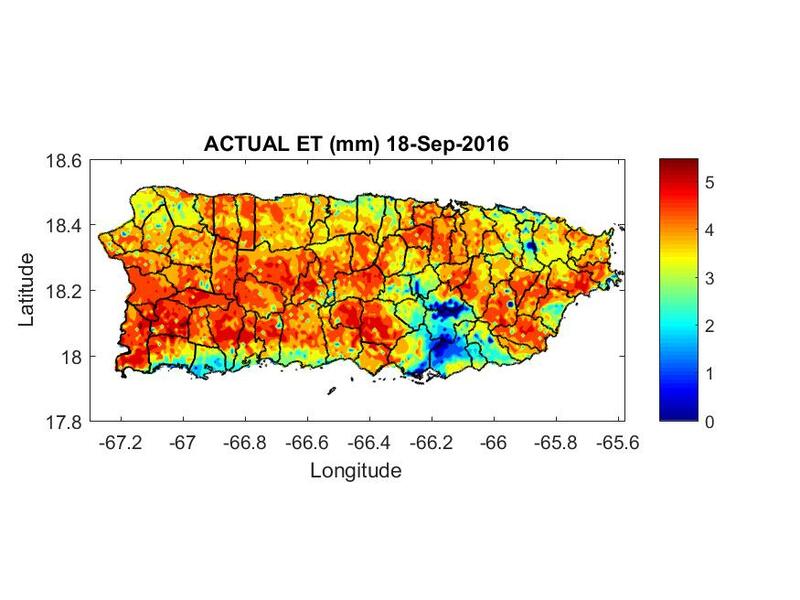 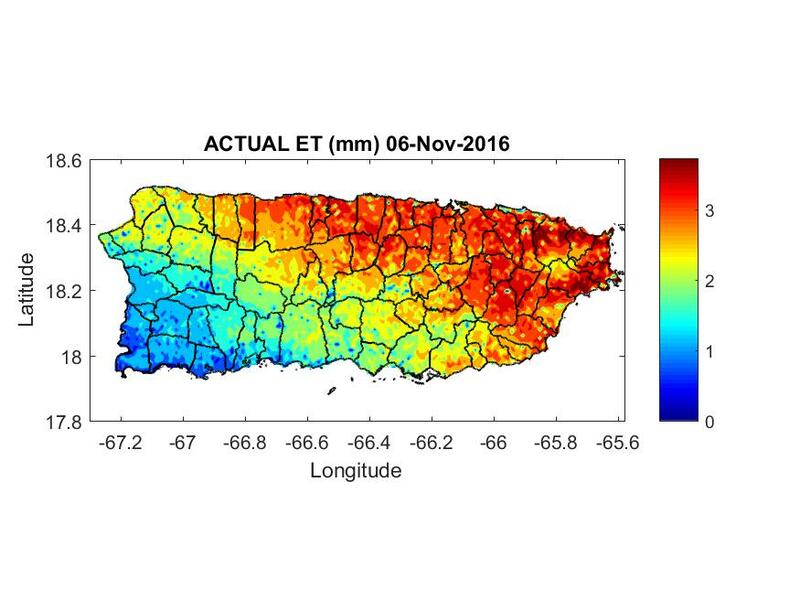 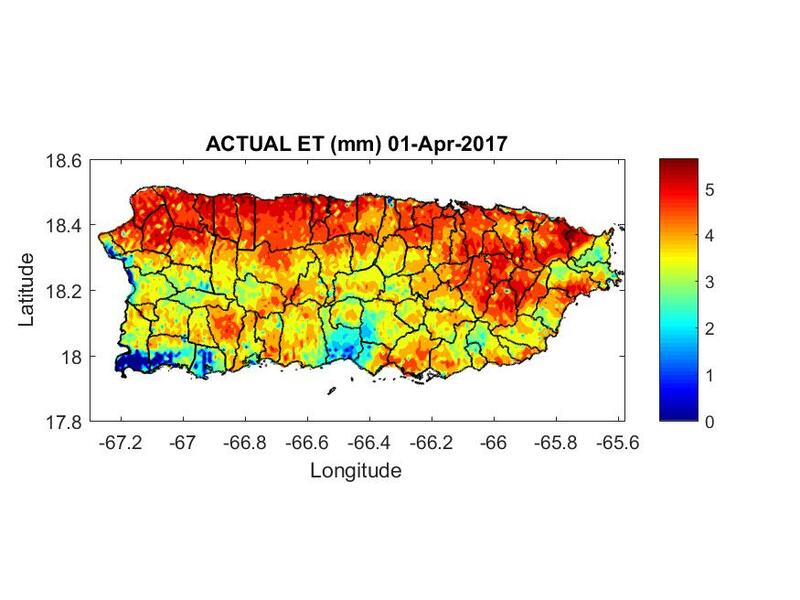 When the soil moisture conditions are limited, the actual evapotranspiration is less than the potential evapotranspiration. 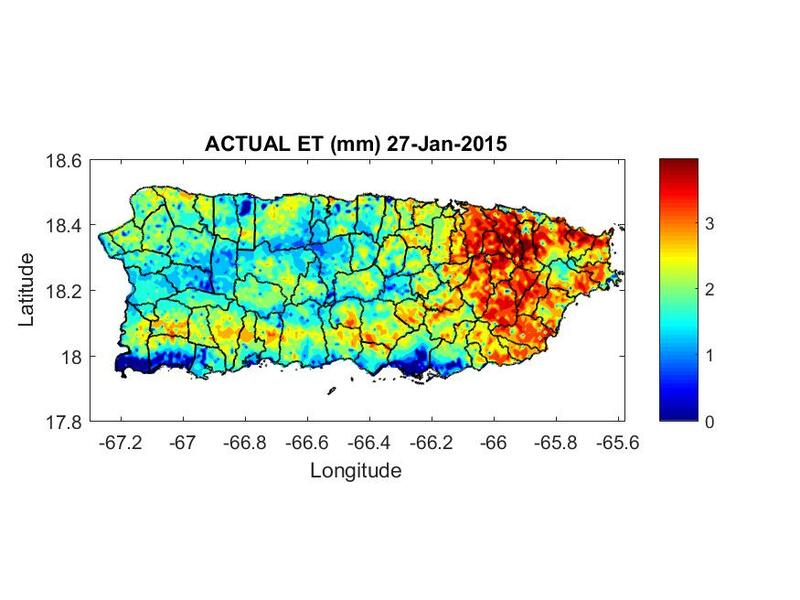 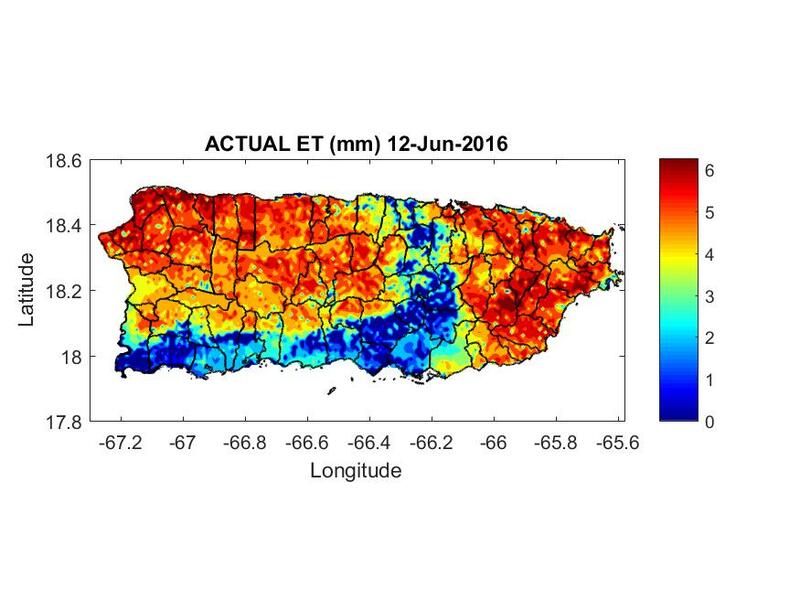 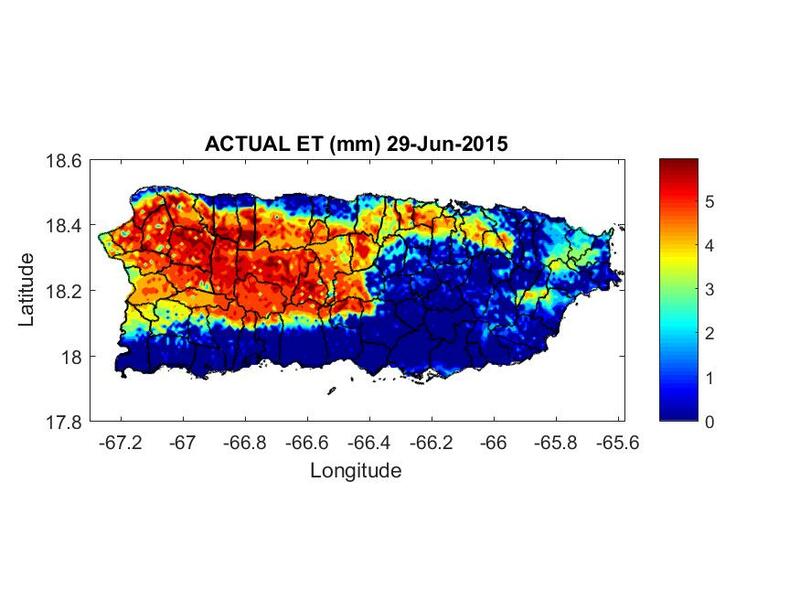 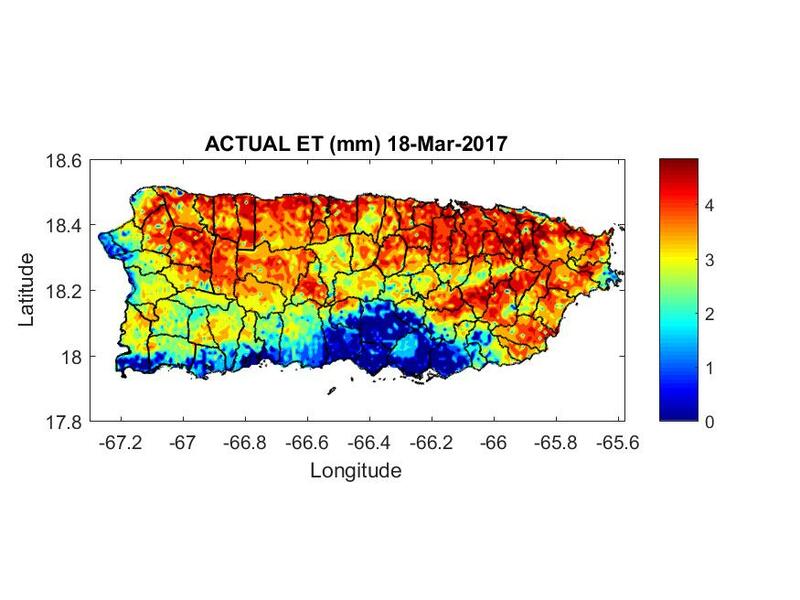 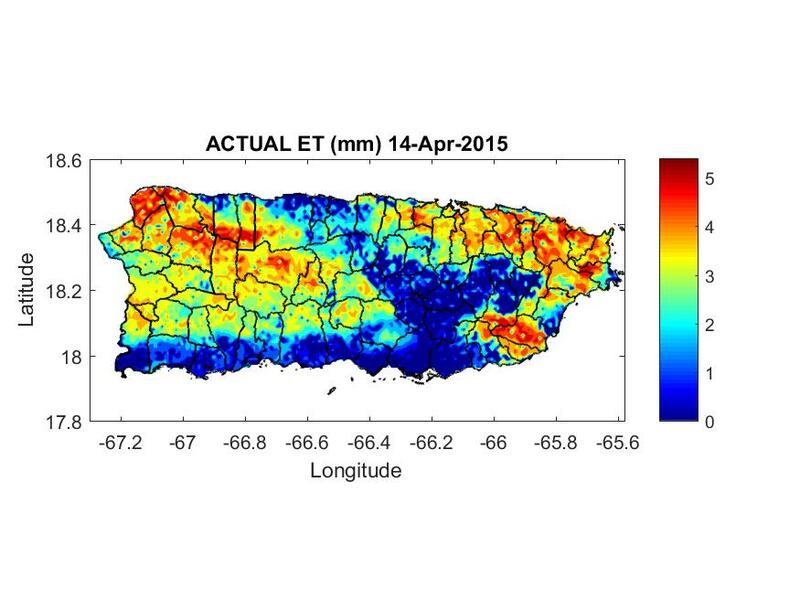 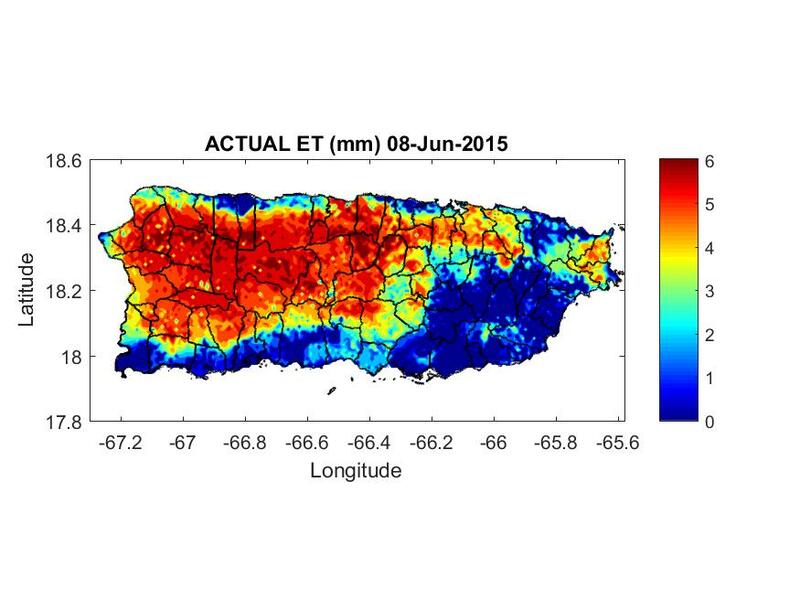 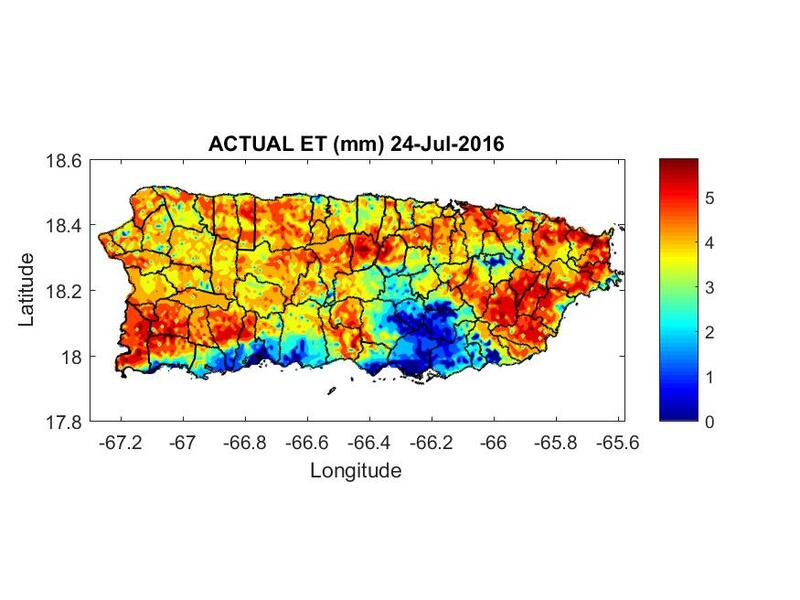 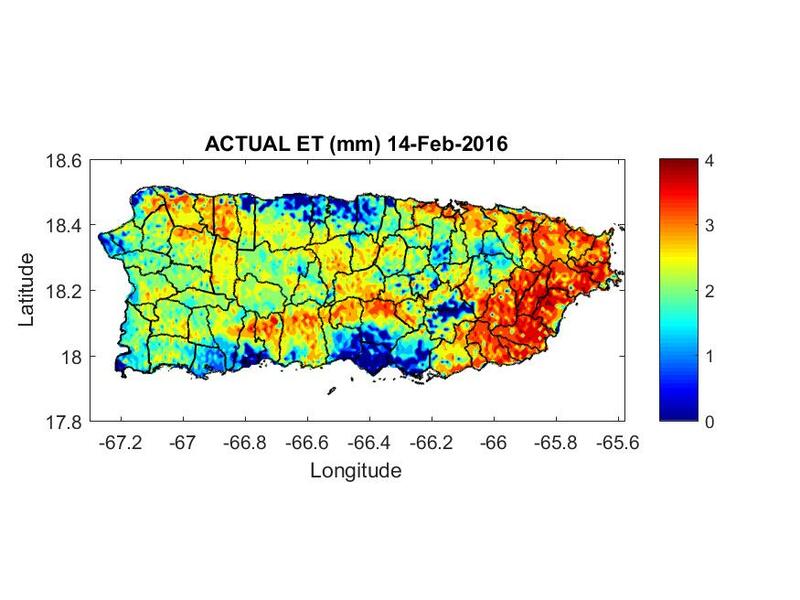 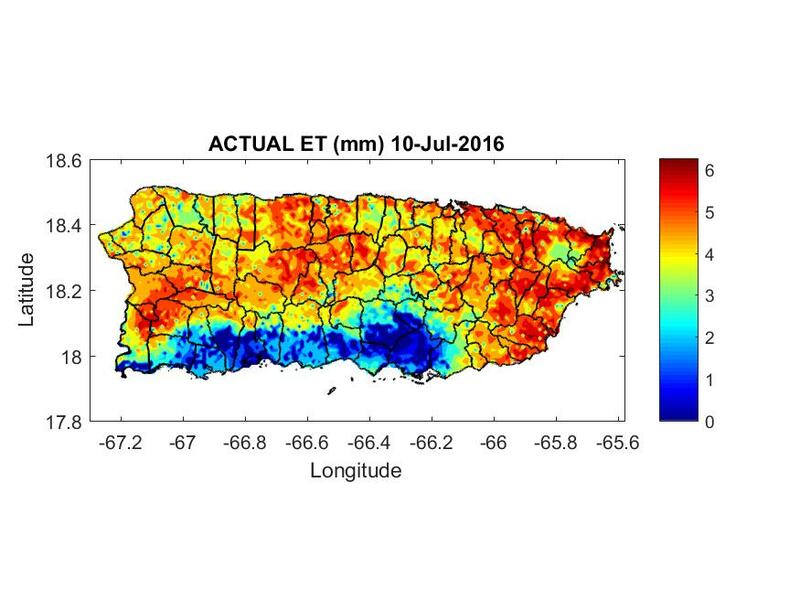 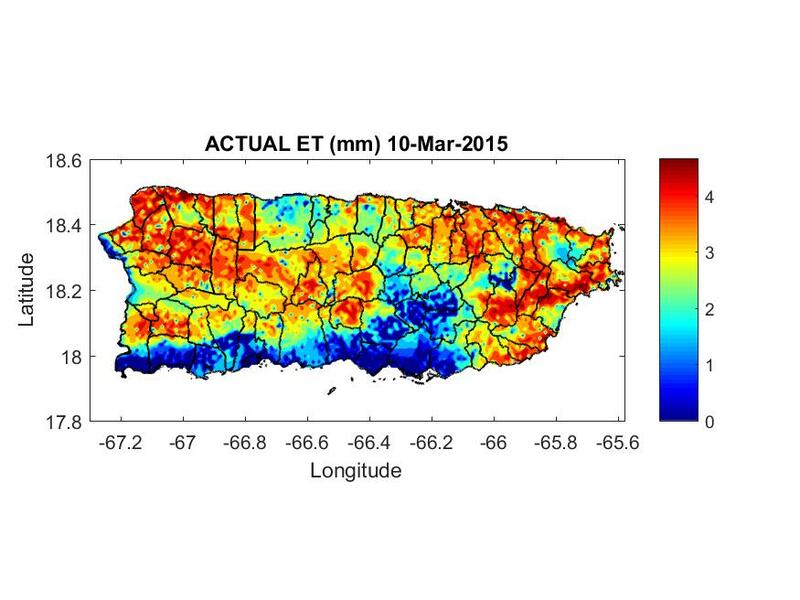 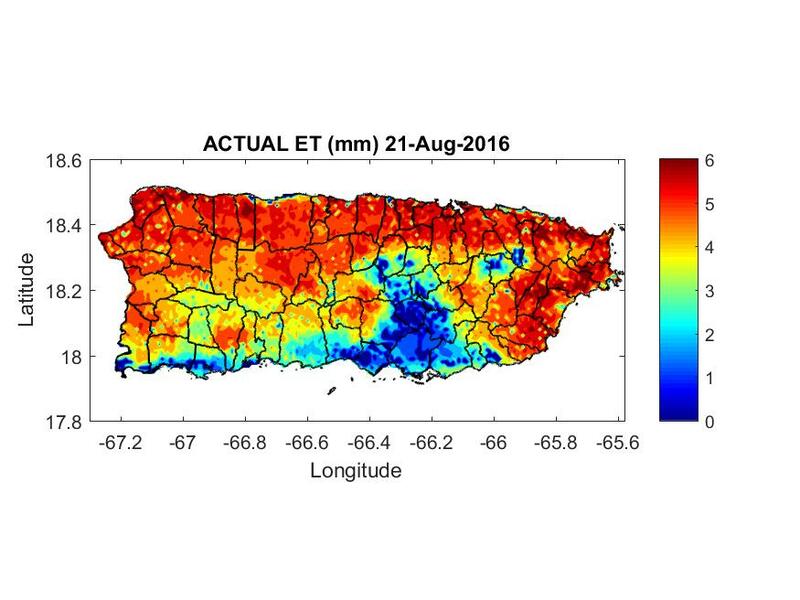 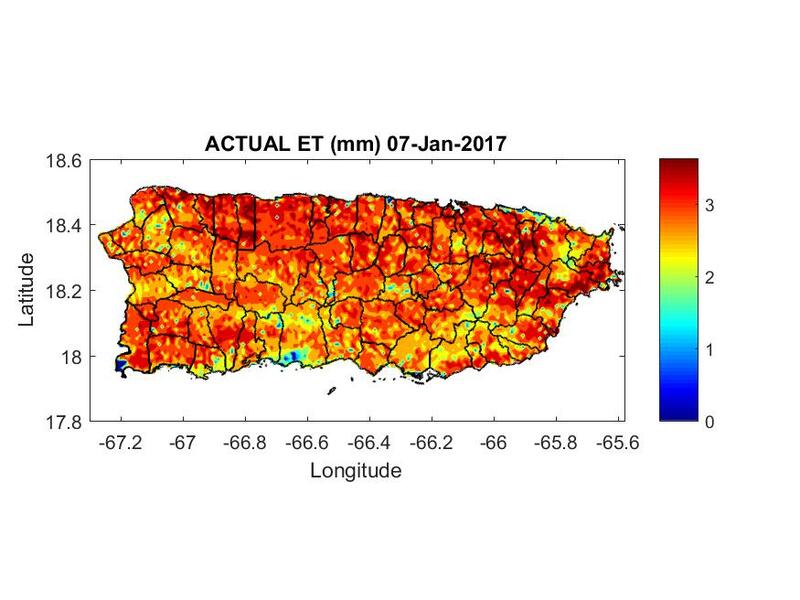 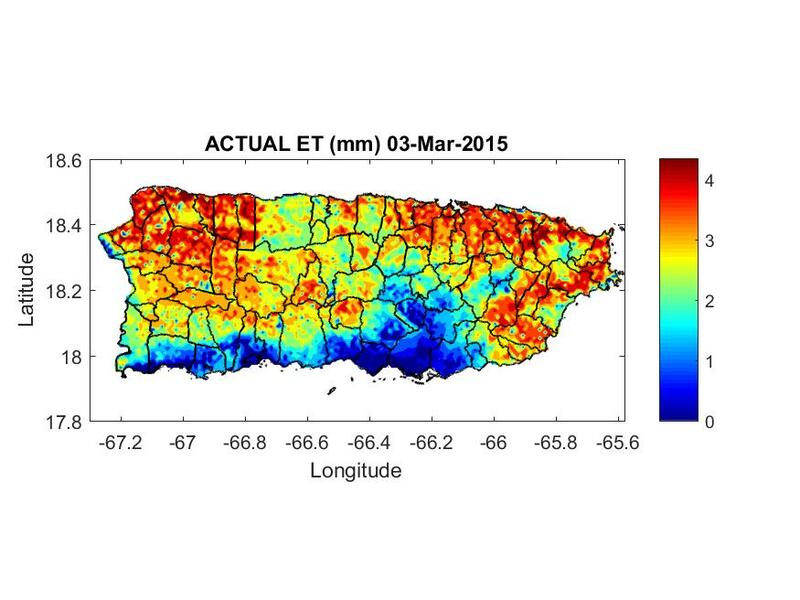 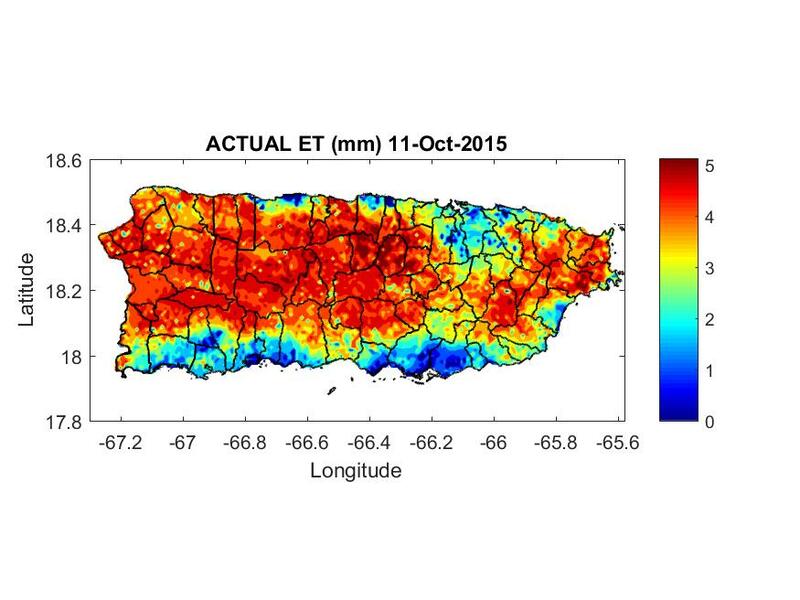 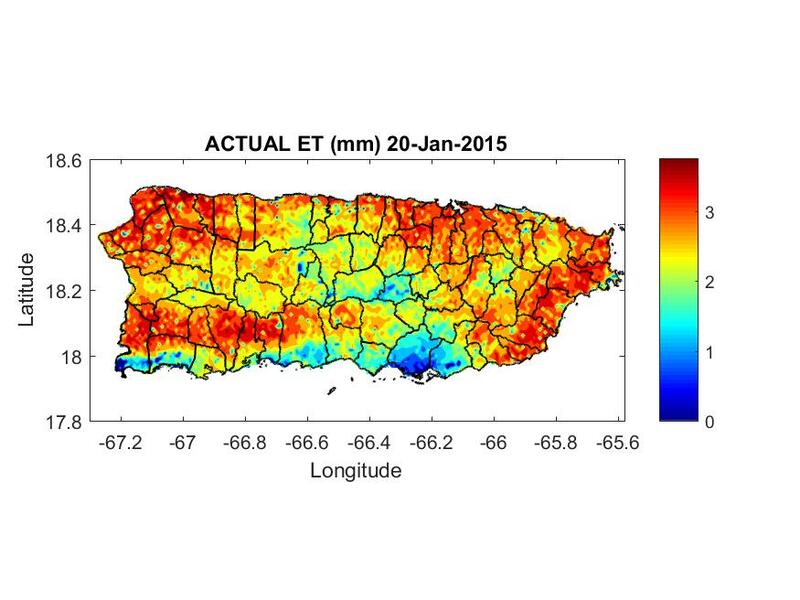 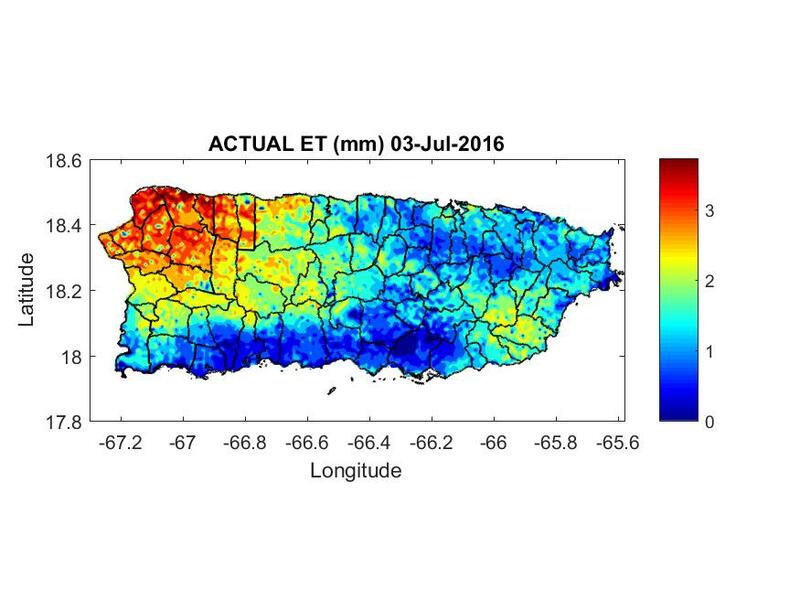 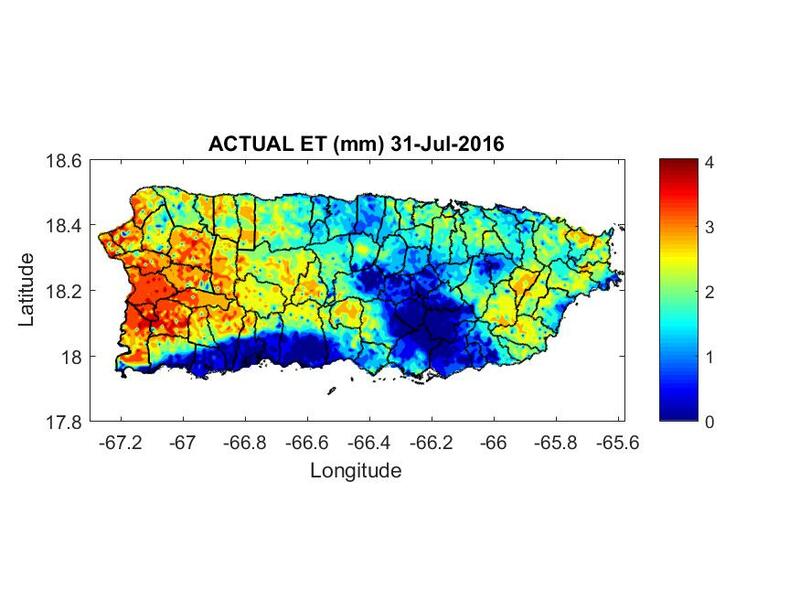 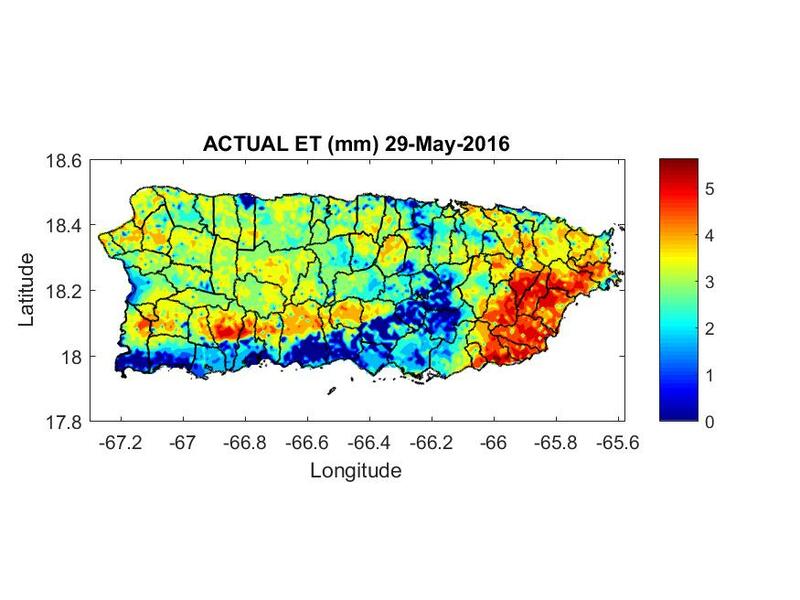 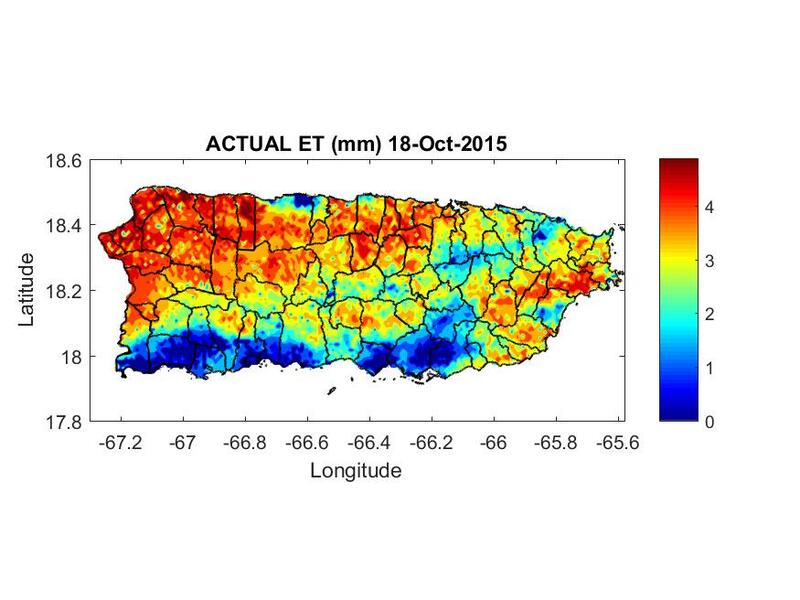 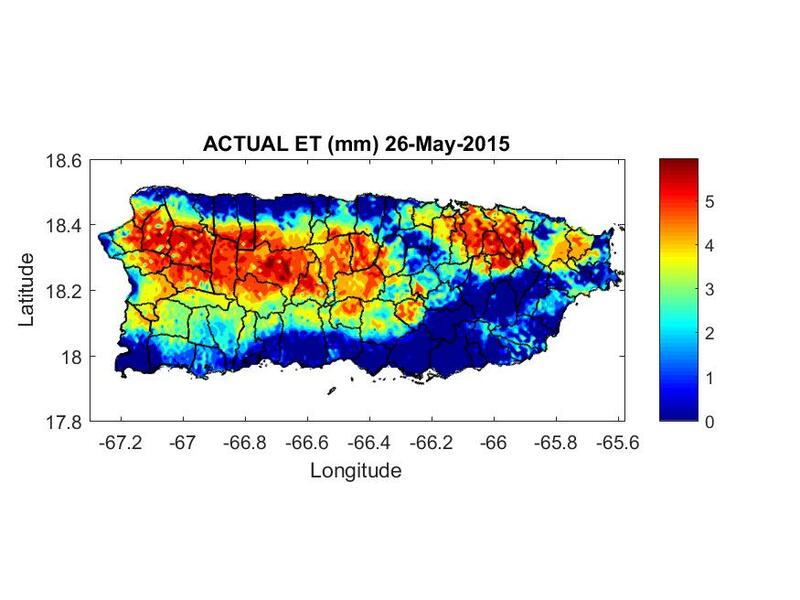 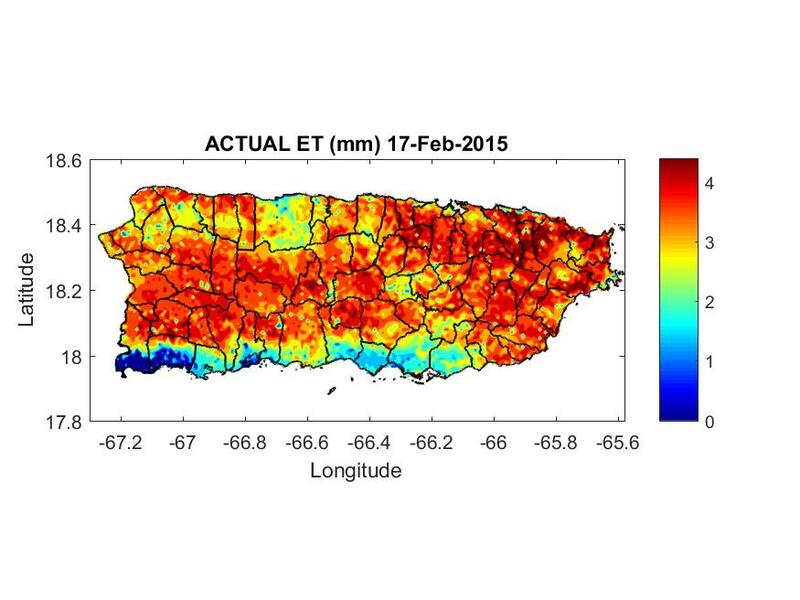 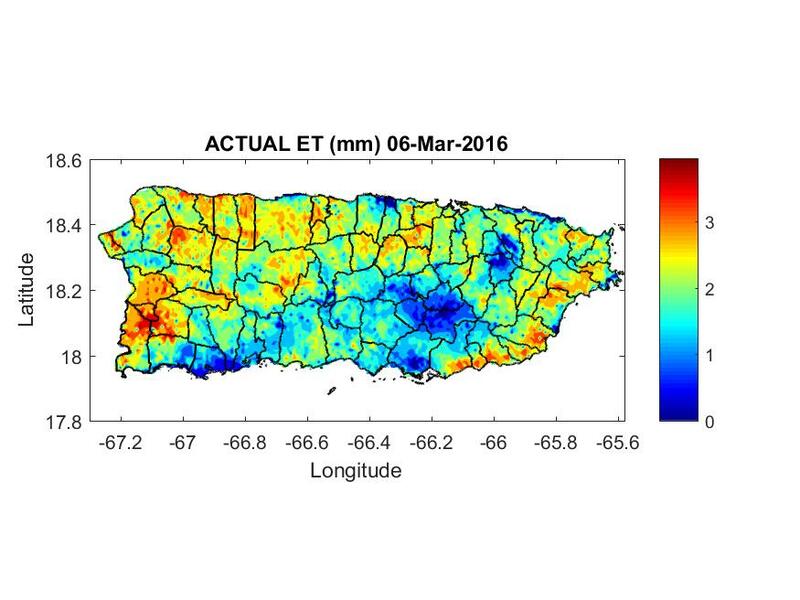 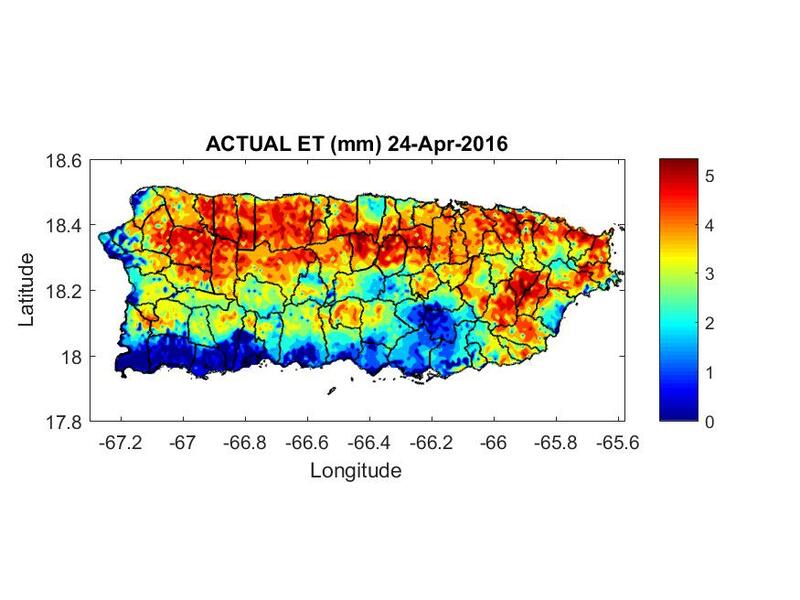 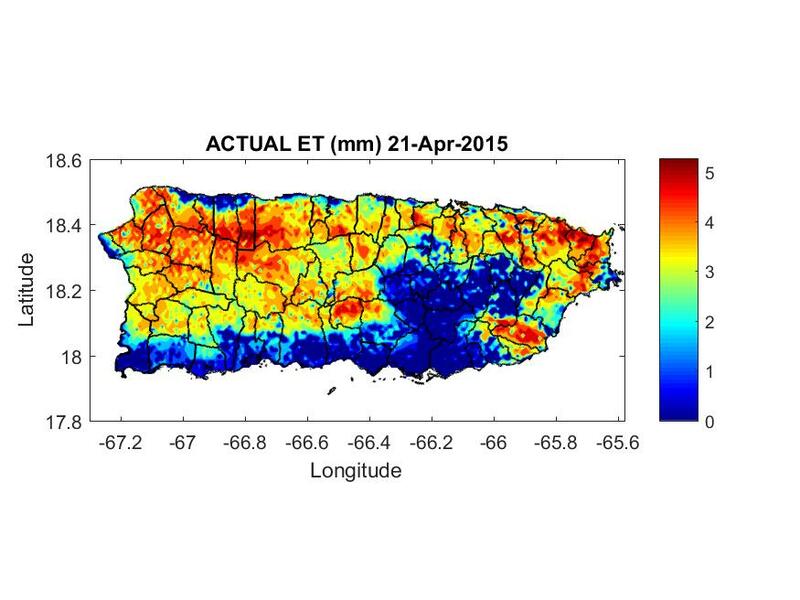 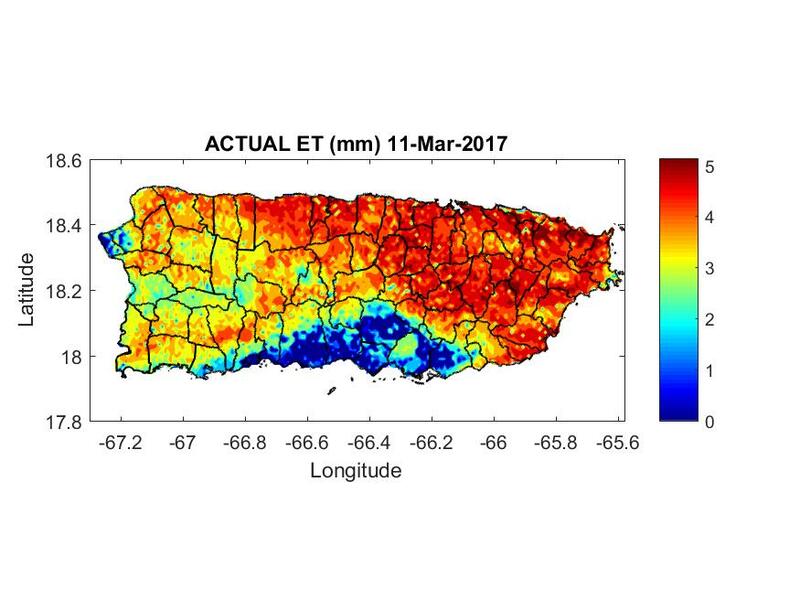 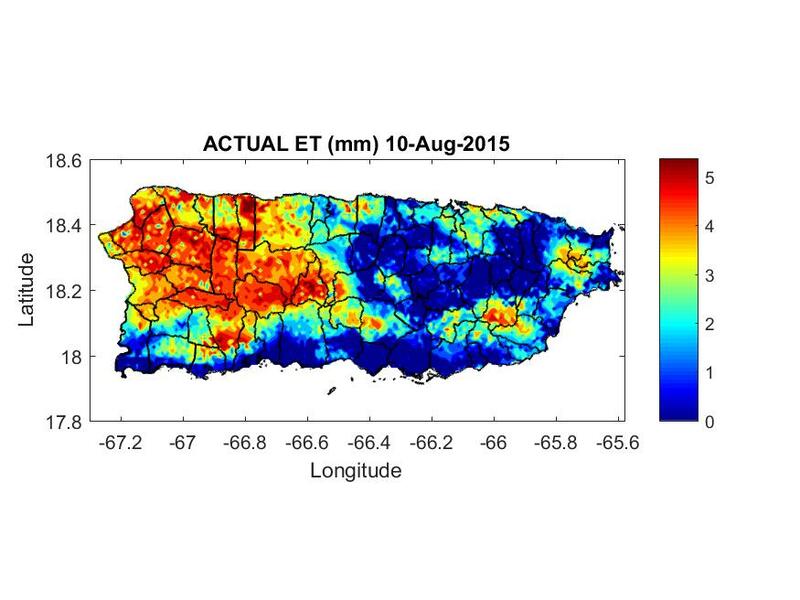 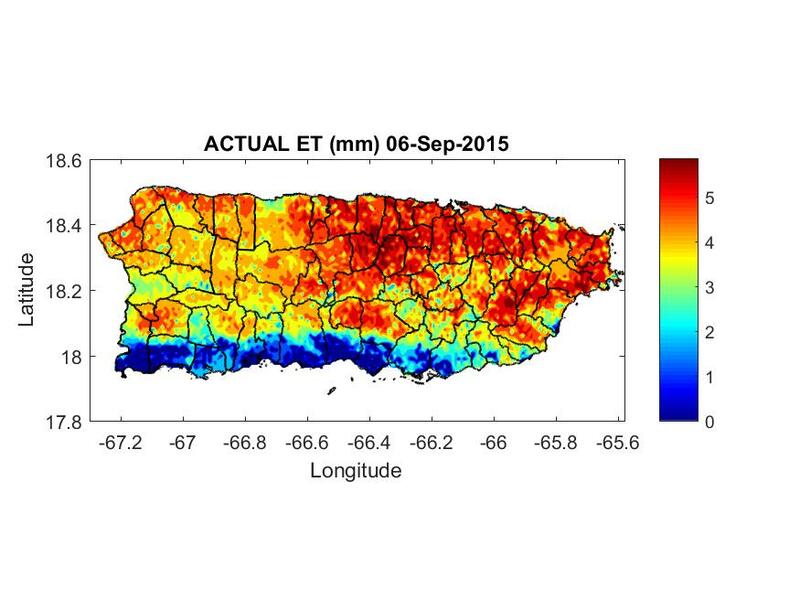 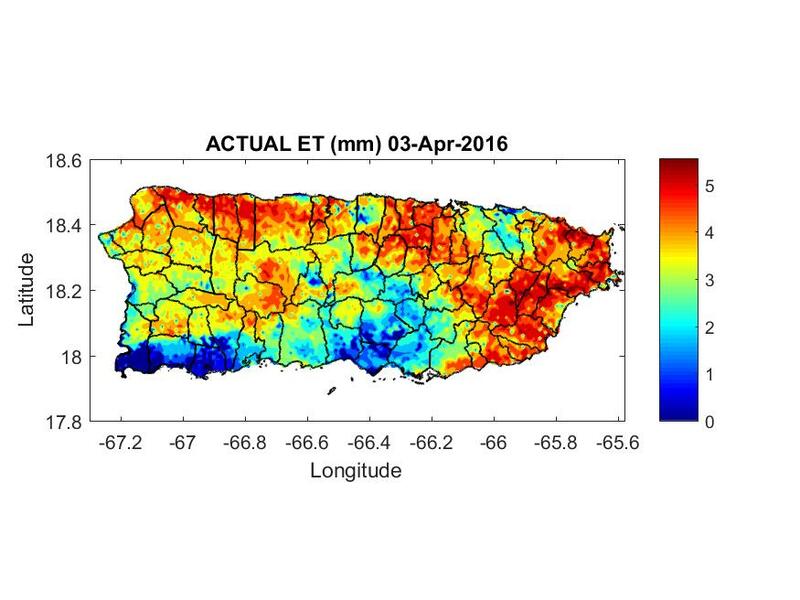 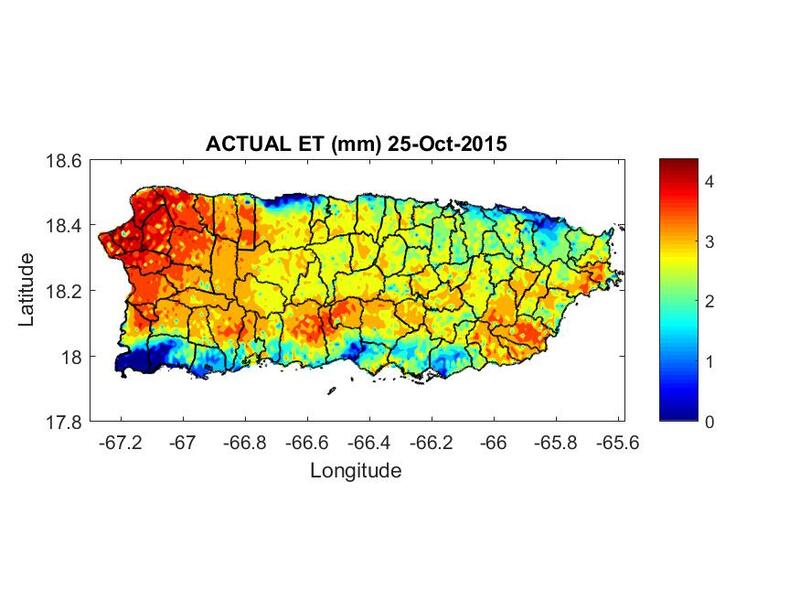 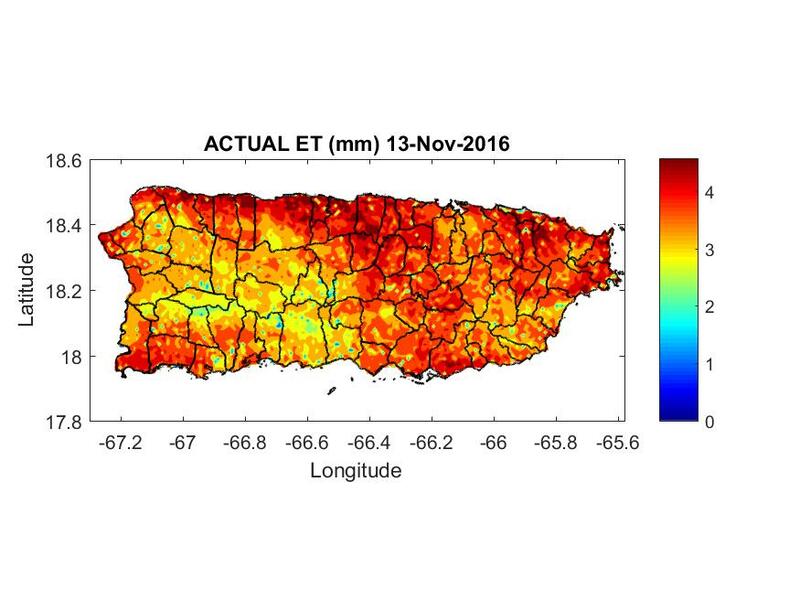 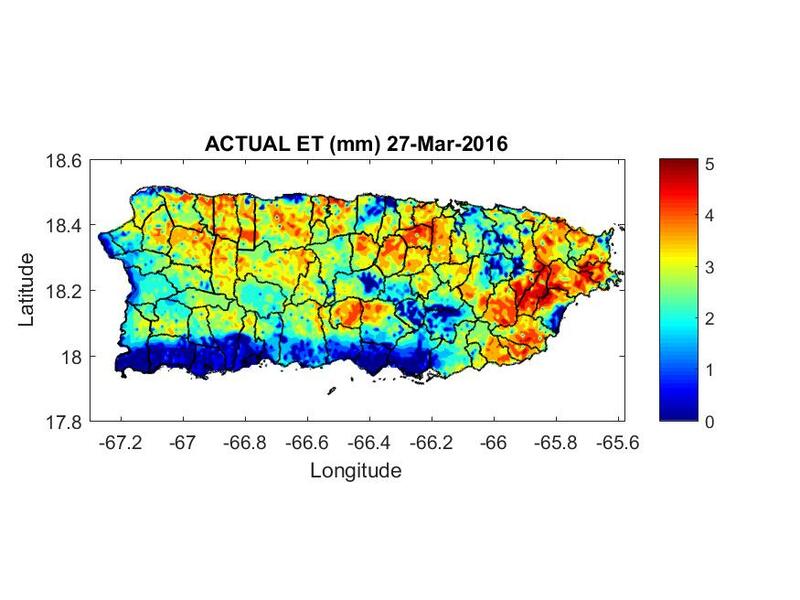 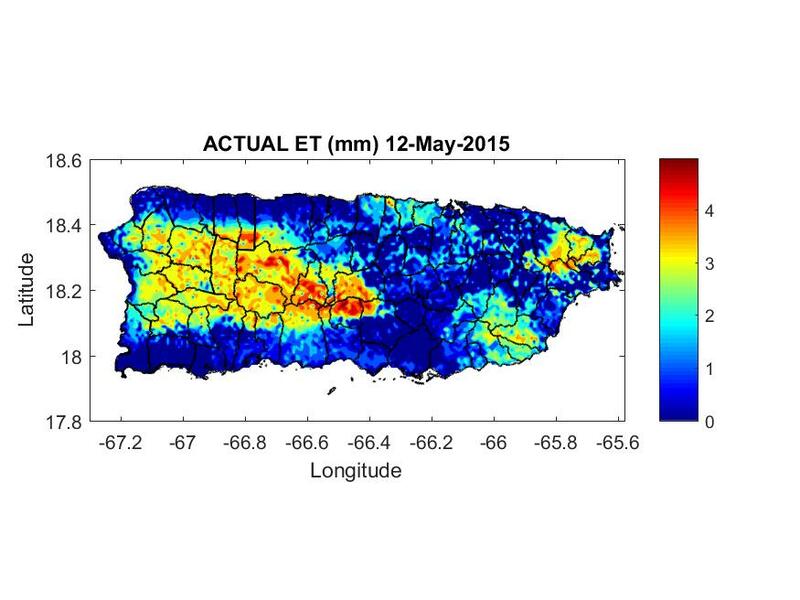 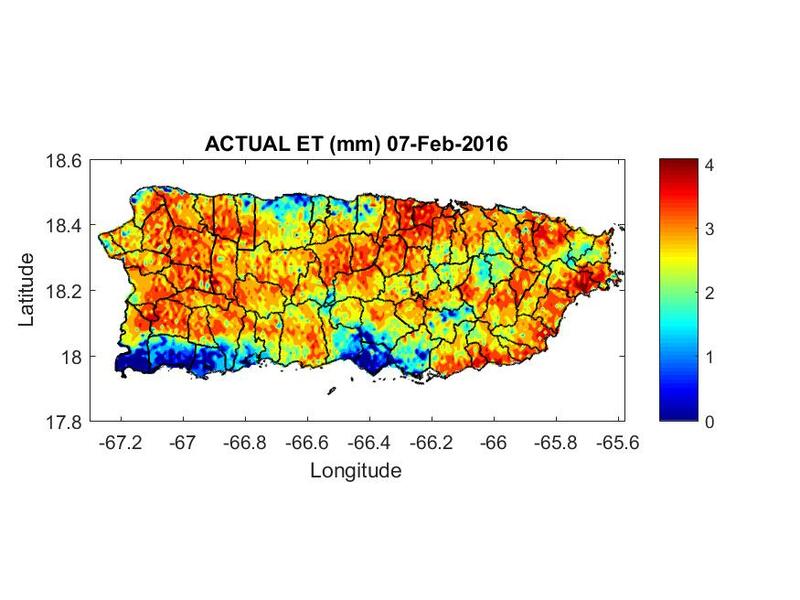 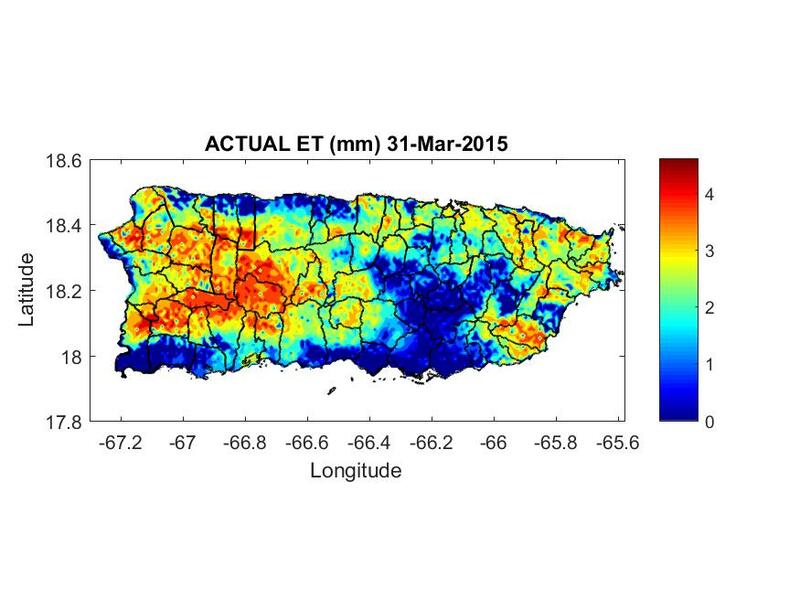 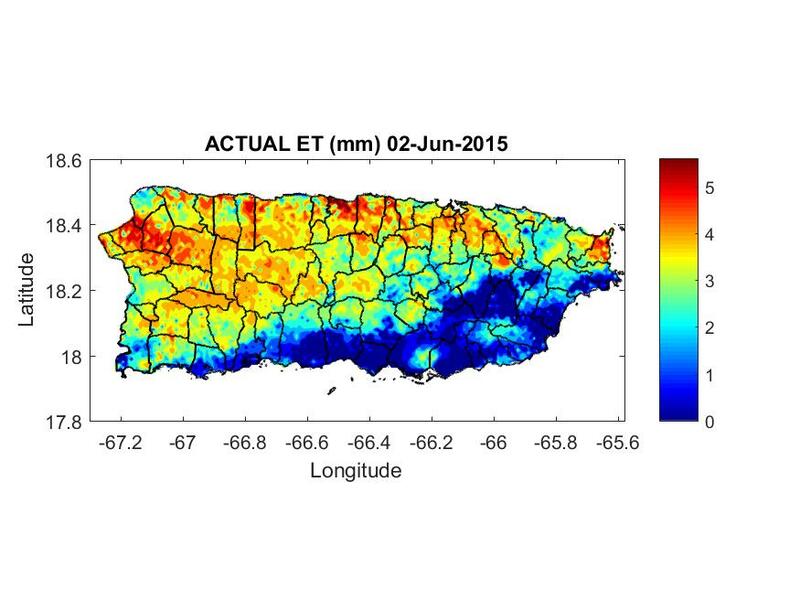 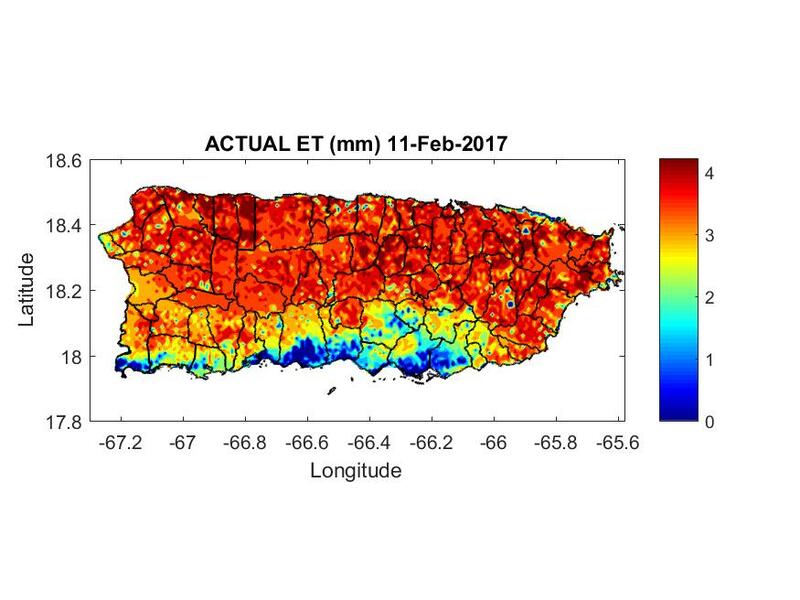 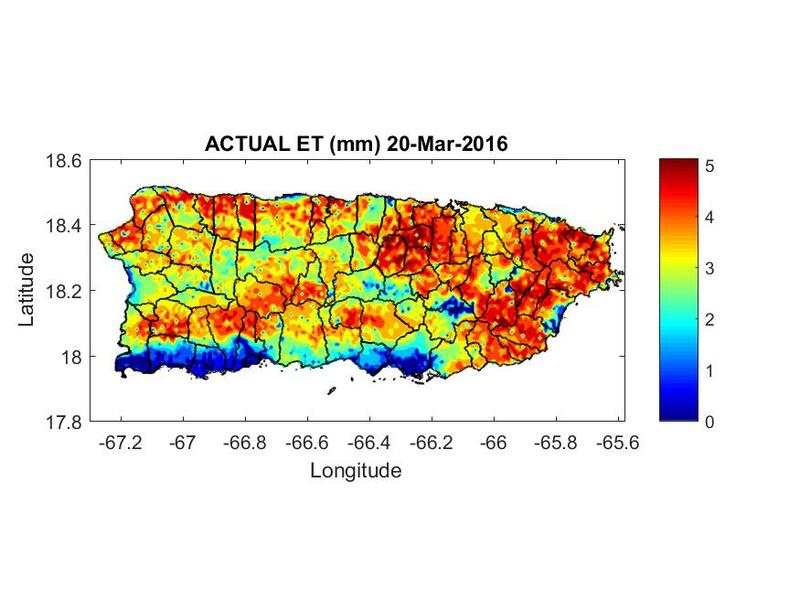 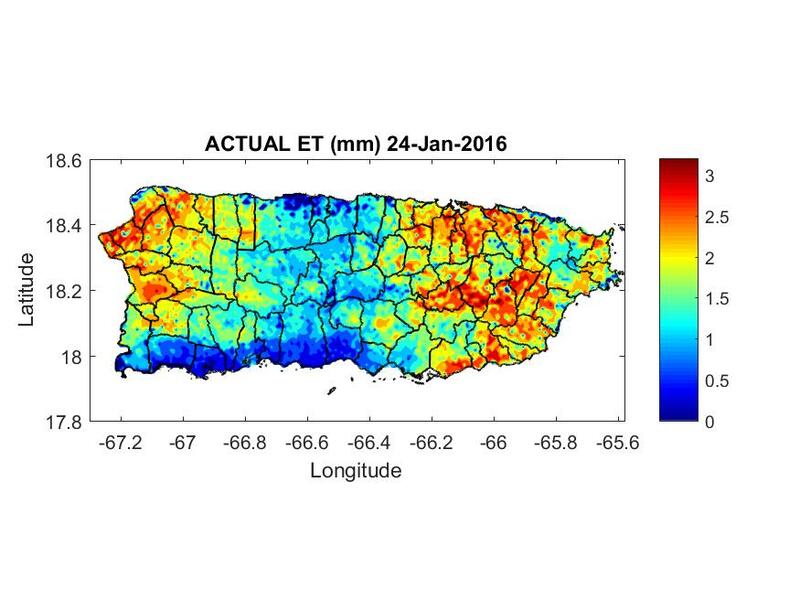 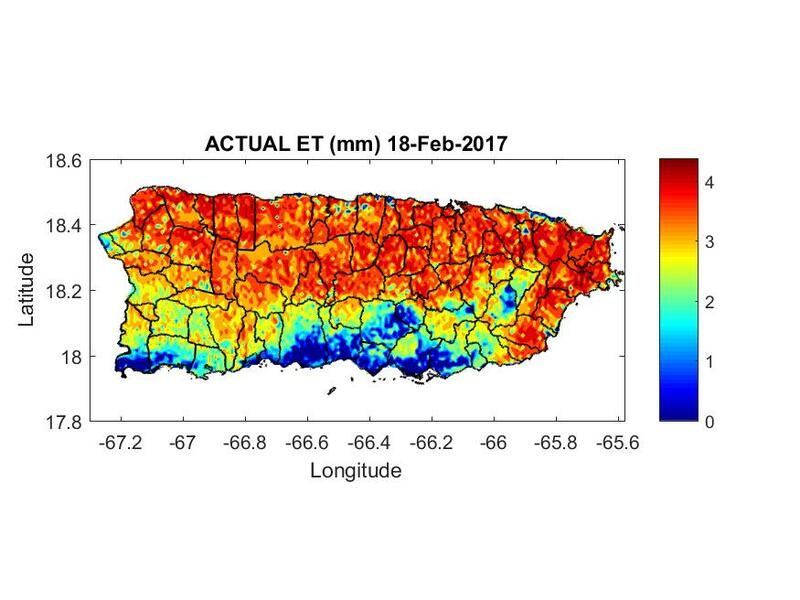 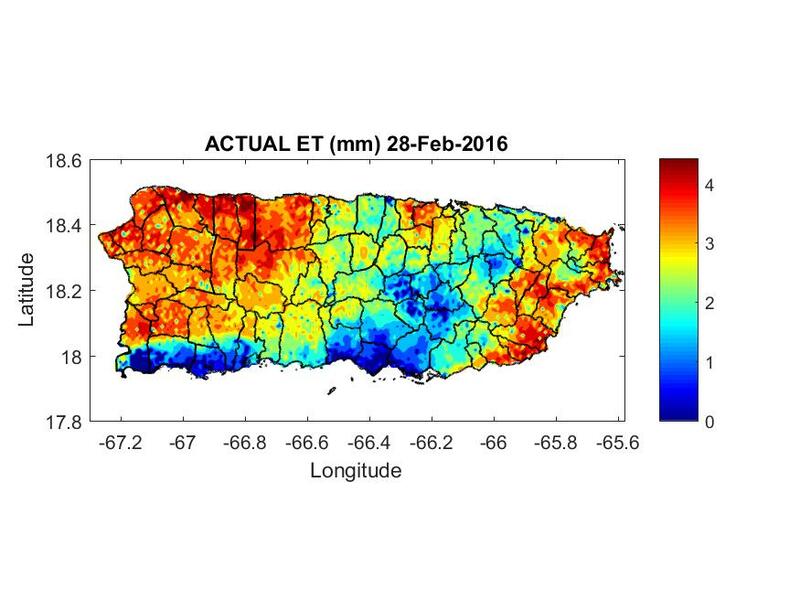 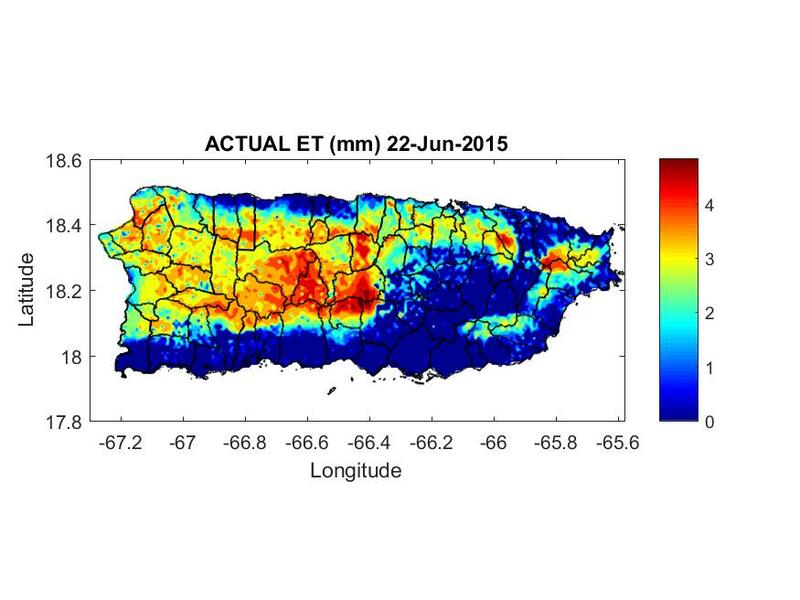 Note that the date associated with the estimated actual evapotranspiration is shown at the top of each map.